If you have a love of the cosmos, it’s a good time to be alive in Bremerton. Next week, some of astronomy’s brightest minds will be here for a conference. The good news for us laypeople is they’re going to share some of their vast knowledge with us, every night of the week. 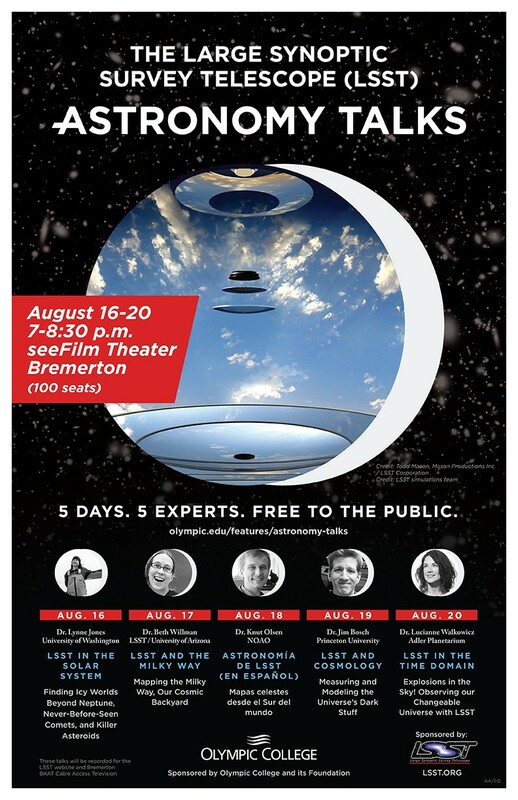 Starting Sunday at SEEFilm Cinemas, you can catch astronomers doing TED-style talks (see posted flyer). 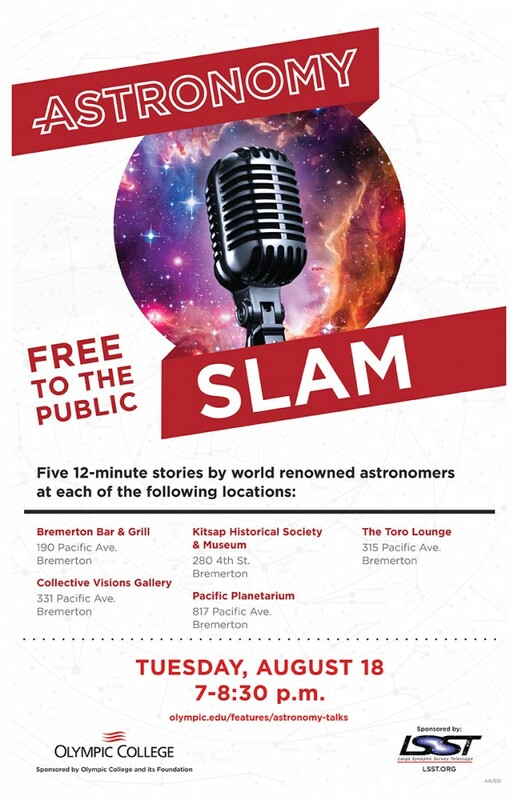 The most entertaining portion of the events looks to be Tuesday night’s Astronomy Slam, held around downtown (see flyer below). And just what is bringing them to Bremerton? A telescope. But not just any old telescope — one that will gobble up enough data every night to fill the Library of Congress. It’s called the Large Synoptic Survey Telescope, and perched in the Andes Mountains of Chile, it will scan the sky with a 3,200 megapixel camera for a decade starting in 2022. I’m doing a larger story about the telescope, which will be in the Kitsap Sun in the coming days. Hope to see you around the conference next week.